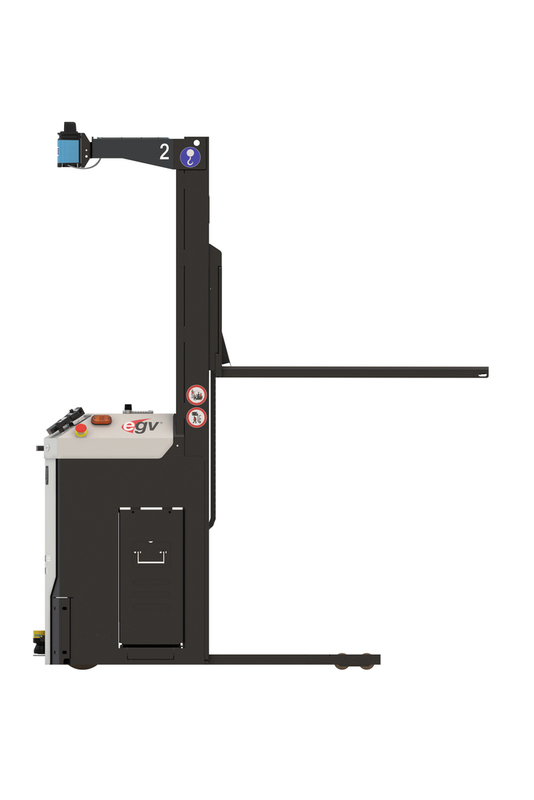 Egemin Automation has renewed its E'gv product line to lift heavier loads higher. 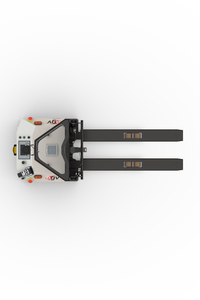 In a bid to consolidate a market leading position in the AGV segment, Egemin has released four new models that can lift loads higher and lift heavier weights. That makes them useful for a broader range of applications than the current series. Despite the increased functionality, the price remains the same. The first vehicles are deployed with customers. 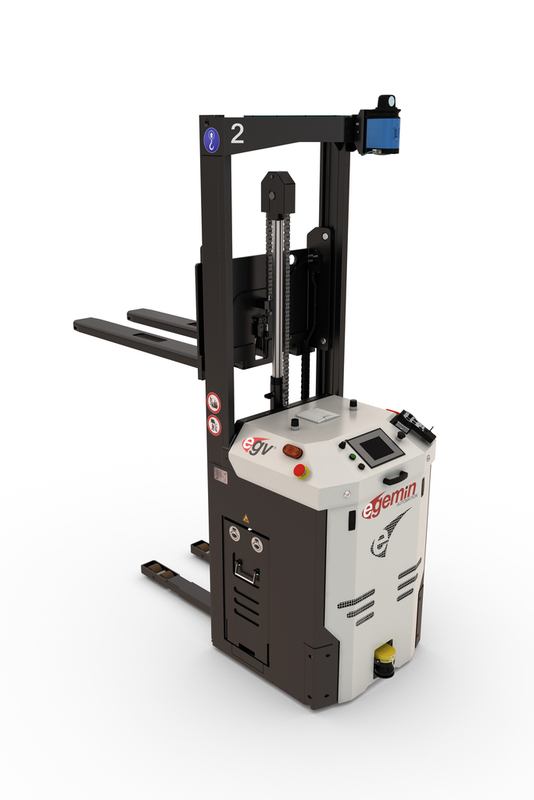 Egemin launches four new models in total: a single and double mast version from the Narrow series, for loads with open fork openings such as euro pallets, containers and totes. These E'gvs can make shorter turns and are ideal in tight spaces. In addition, Egemin renews two models in the Straddle series, also a single and double mast version. These are suitable for large and closed loads such as box pallets, racks and rollers at floor level. They provide additional stability to loads during transport and lifting operations. 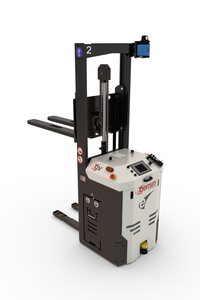 The single mast vehicles (FLV2012/N and FLV2012/S) now carry loads up to 1,250kg, or 250kg more than the previous models. They lift loads up to two metres high, double of what they used to be able to do. 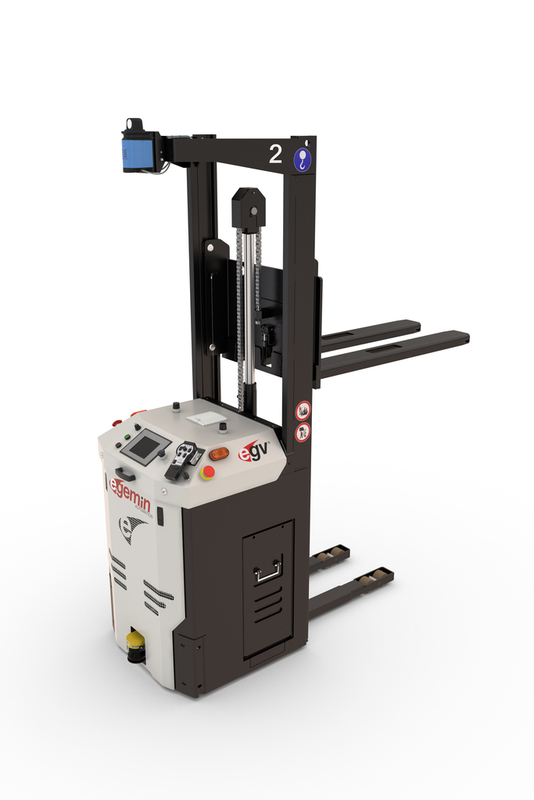 The double mast versions (FLV3310/N and FLV3310/S) lift up to 1000kg and go up to 3.3 metres high. "With these new models, we have greater leeway in lifting height and weight. As a result, we offer our customers more freedom in the transport and handling of loads. Since the cost price remains the same, our customers get more value for their money,” says Gunter Van Deun, product manager E'gv Systems at Egemin. "The launch of the new models is part of Egemin's strategy of continuous improvement and responsiveness to the demands of the market. We are also working on adjustments to other standard models." Egemin Automation currently has a well-filled order book for E'gv systems. "Our E'gv Factory, our manufacturing and testing plant for E’gvs, is running at full speed at the moment. We have quite a number of vehicles under construction and multiple systems are being tested simultaneously before they are shipped to the customer,” continues Van Deun. Egemin Automation sells between 150 and 250 vehicles per year and installs about 40 to 50 systems every year.